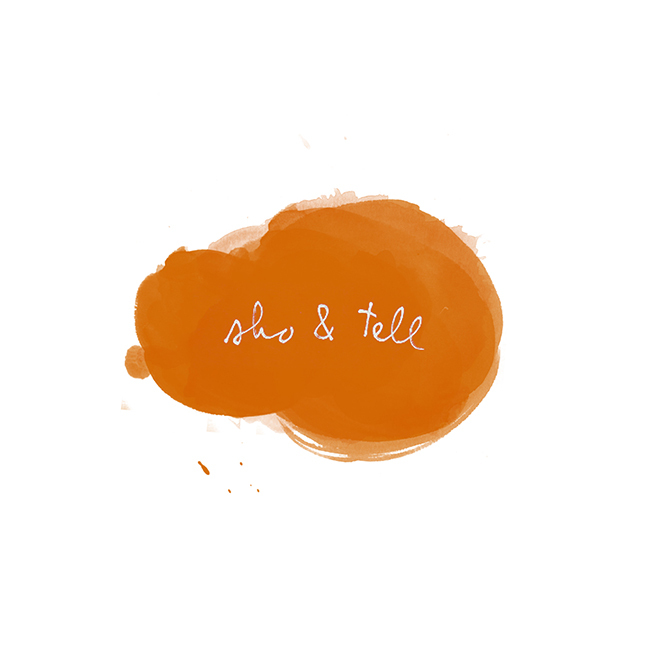 sho and tell: Valentine's Day Gift Ideas: For You. A personal favorite among this set: a little gray book called Dangerous Women, which features found photography commemorating mischievous girls. I like it as an alternative to a love poem. Clockwise, from top left: Stained glass feather, $120; Wing earrings, $61.98; Striped britches, $36; Brushstroke mug, $26; Ghost Rose solid perfume, $34; Dangerous Women, $18. Other ideas, no wallet necessary: write, paint, cook, wander. Plant a tree, make a fort, eat cookies for breakfast. Dance. Sing. Play hide-and-seek. Whatever you do, have a happy one.